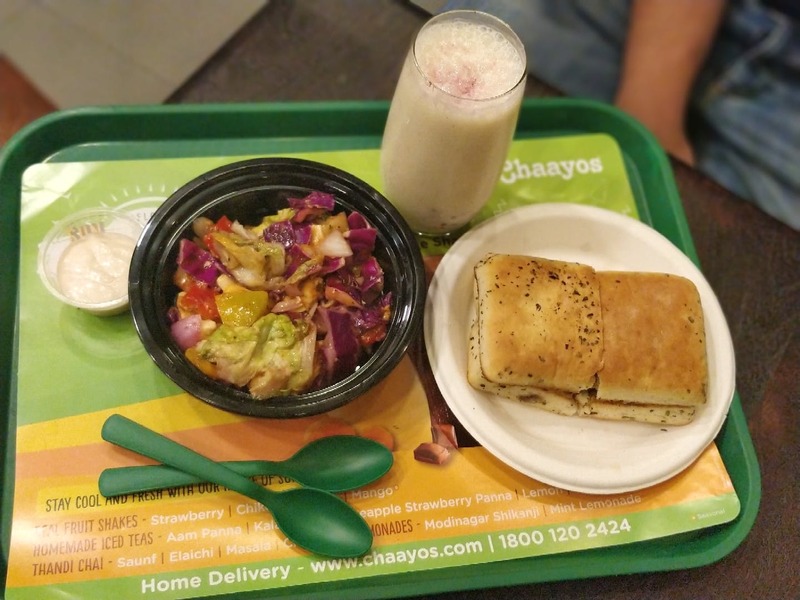 The first thing that comes to your mind when you hear the name Chaayos is chai, but this place is a lot more than just that. They have some amazing snacks like sandwiches, salads, shakes and much more. They keep adding something new to their menu every now and then. They have recently introduced their Sensational Summer menu which features some amazing salads, and three new amazing flavours of shakes including Motichoor Shake, Cake Shake and Kulfi Shake. I really loved the Motichoor Shake and Kulfi Shake. Coming to the salads, their Spicy Summer Salad is a worthy healthy option. Among the sandwiches, the Napoli is a great choice if you love mushrooms. My all time favourites have to be their Homemade Aam Panna Iced Tea and Palak Patta Crispys that has an interesting Mexican twist to it and it is served with sweet tamarind sauce. INR 500 - INR 1,000.